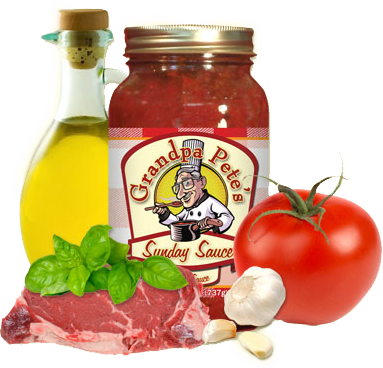 With Grandpa Pete’s 12 pack case of Sunday Sauce, you’ll always be ready when your family is craving a delicious, homemade Italian meal. 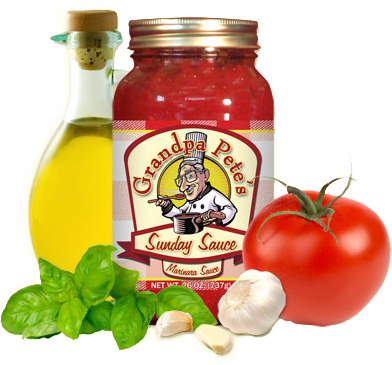 Each jar is filled with all natural ingredients: juicy vine-ripened tomatoes, fresh garlic, sweet onions, extra virgin olive oil, and Grandpa Pete’s special herb seasonings. Mix up the flavors or stick with a family favorite. 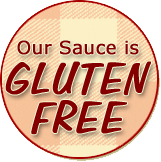 Enjoy any of our versatile sauces over hearty pasta or use as a dipping sauce for warm, crisp Italian bread. 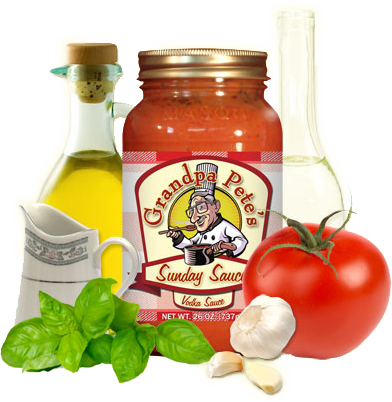 Due to the size and weight of the box, our 12 Pack of Sunday Sauce ships at a flat rate of $18 per case and does not qualify for the $12 flat rate shipping.